The Scientometrics Lab at ITU studies scientific and academic research from a scientific point of view; the dynamics of scientific research and its connections to technology, innovation and society are charted here through the use of bibliometric indices and other evaluation strategies. The last couple of decades have seen an unprecedented growth of evaluation institutions and procedures in scientific and scholarly research. Bibliometrics has played an important role in stimulating the use of performance indicators and the current demand for research assessment reports can indeed be seen as a measure of success for the field. Independent intellectual creative capacity developed through research is essential in enabling countries to take control of exploring, planning, and implementing their own most appropriate sustainable development paths. Given the scarce financial resources in Pakistan, areas of research focus must be carefully chosen so as to achieve maximum value from investment at a level that will have noticeable positive impact upon society. 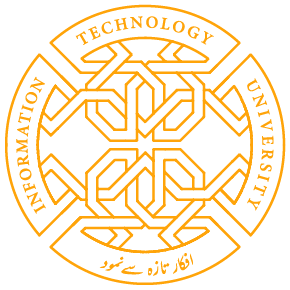 A group of researchers at ITU’s Scientometrics Lab is building a research benchmarking system which is intended to provide objective data and analyses to benchmark research performance of Pakistani universities in traditional disciplinary subject areas and in interdisciplinary areas for the purpose of strengthening the quality and impact of research. The system supports universities to determine their own research profile and identify niche areas in which they can excel; to make more rational strategic and resource allocation decisions; and to publicize program strengths. Social media is playing a vital role in every discipline of life these days. Quality of user generated content varies enormously from abusive language to pieces of great intellects. As the availability of this data is continuously increasing so it is very important to extract some high quality impact from it and apply it for evaluation of multiple disciplines. A group of researchers at ITU’s Scientometrics Lab is working to measure the impact of research activities using social media platforms. The research concerns all steps needed to extract content from social media and its implication for finding impact of research activities using that data by exploiting sentimental analysis. It is very common in bibliometric community that success seems to breed success. A paper which has been cited many times is more likely to be cited again than one which has been little cited. An author of many papers is more likely to publish again than one who has been less prolific. A journal which has been frequently consulted for some purpose is more likely to be turned to again than one of previously infrequent use. Words become common or remain rare. A millionaire gets extra income faster and easier than a beggar. A group of researchers at Scientometrics Lab are modeling the behavior of scientific research. Mathematical model can reasonably predict behavior for a system and can help to validate the mechanism of the progress of scientific research. The purpose of this work is to explore the mathematical models those fits the progress of scientific research.